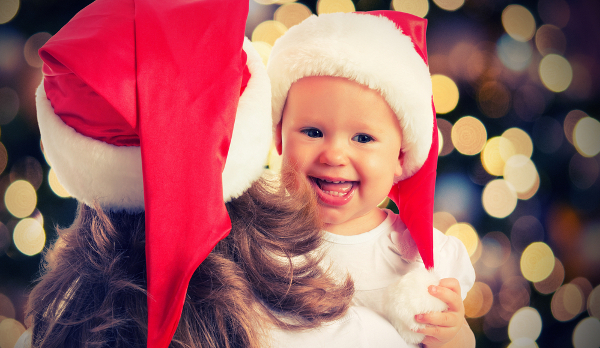 This holiday, the perfect gift is not just for the baby, but for the parents, too. Fortunately, we have both covered in our selection of tech gifts that the little ones will love and the parents will appreciate. The beloved See 'N Say toy of our childhood has grown up. Instead of pulling a level to spin a knob that goes around and around until it lands on an animal's picture and makes the corresponding animal sound, today’s toddlers can enjoy a more sophisticated version of this classic toy that not only teaches animal sounds but also letter sounds. 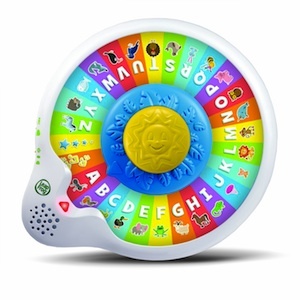 Meet LeapFrog’s AlphaZoo Spinner. This educational toy features two play and learn modes. Letter Mode helps children learn the names of the letters of the alphabet, and Animal Mode teaches them the sounds different animals make. Find the musical note space on the spinning wheel to play the ABC song. The space with three yellow stars on an orange background allows kids to demonstrate their knowledge of letter identification by finding letters that the AlphaZoo Spinner suggests. 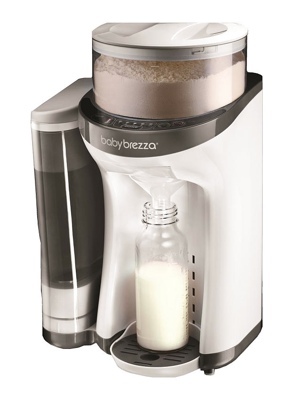 The Baby Brezza Formula Pro takes the convenience of a single-serve coffee maker and applies it to making baby formula. The appliance has two compartments, one holding 160 ounces of formula mix and the other 50 ounces of water. A single button press puts the Formula Pro into action, mixing the right proportions of water and formula for a serving of 2 to 10 ounces and heating it to body temperature within seconds. For a sleep-deprived new parent at 3 a.m., it’s worth its weight in gold. Tub temperature can be puzzling — what’s apparently just right to the adult touch can be painful to sensitive little ones. The 4moms tub spout cover takes away the guesswork, displaying the water temperature digitally in big, color-coded numbers. It’ll clearly show when the water is a safe, comfortable temperature for little ones. As a bonus, the spout cover protects kids from painfully boo-boos that happen when they bonk into the faucet. The mildew-resistant, easy-to-clean cover fits most faucets and installs quickly and simply. The Apptivity Creation Center uses both tactile shape stampers and your iPad to entertain and teach your child. Apps on the iPad prompt your child to press the stampers onto corresponding colorful shapes on the screen. The apps include music and rudimentary task-based games. For instance, one game requires kids to erase a color on screen to reveal dancing animals. The Creation Center can be used in bench, flat or easel mode and comes with a clear film to protect your iPad. 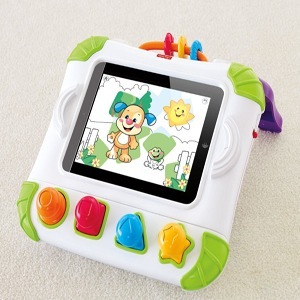 The set includes an interchangeable activity panel, so you can remove the iPad and keep the busy play going. Whether you’re expecting a baby or know someone who is, a gift of the Owlet Vitals Monitor is a gift of peace of mind. It’s a baby monitor in the form of a smart sock for your baby's foot that monitors your baby’s heart rate, temperature and breathing. 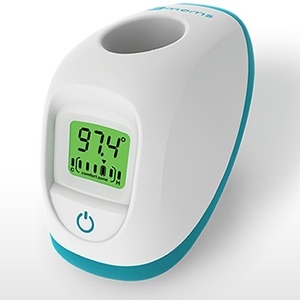 It also measures oxygen levels and lets you know if your baby has rolled over in the crib. Data is sent to an app on a parent or caregiver’s smartphone using Bluetooth 4.0 technology. The socks are available in both pink and blue, making this the perfect gift for a parent who needs a good night’s sleep. This soothing device combines a Bluetooth speaker and a sophisticated night light in a comforting plushie nighttime companion for babies and toddlers. Pick music from a pre-set library of melodies and sounds, or use the premium app to access personal music libraries for extended, unique mixes. 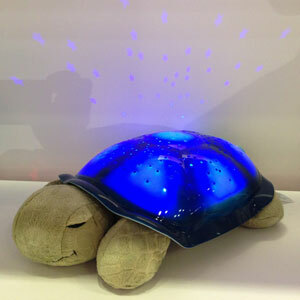 Just like the original, the new, award-winning Twilight Turtle uses AC adaptor or rechargeable lithium-ion batteries and projects actual star constellations in blue, orange and green. You can program melodies and star projection for up to 24 hours. 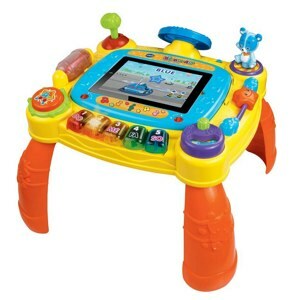 An impressive and seamless integration of physical and digital play, the award-winning VTech iDiscover App Activity Table has a recessed area in the center that accepts either an Android tablet or an iPad. Any feature your child plays with on the table affects what’s seen and heard on the tablet. For instance, turn the steering wheel, and the tablet delivers a simple driving gamewith car sounds, or touch the drum to trigger sounds and music-themed animation. If you need to use (or wipe clean) your tablet, you can snap in a panel of good old analog items for your child to manipulate. Either way, kids ages 1+ will love it.